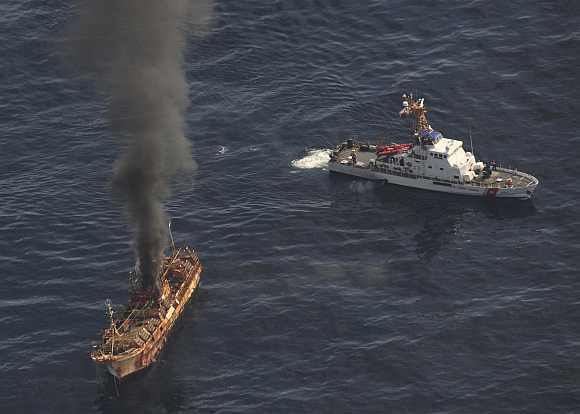 The United States coast guard used a cannon to sink a derelict and fuel-laden Japanese vessel that drifted to Alaska after the March 2011 tsunami. 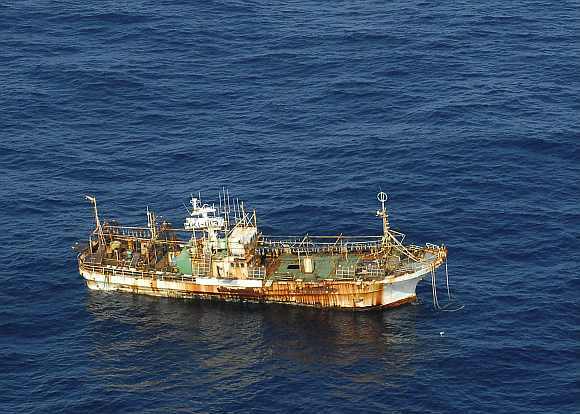 The deserted trawler was first spotted off the coast of Canada on March 24, having drifted thousands of kilometers across the Pacific Ocean. The Ryou-Un Maru stayed afloat for several hours, listing and ablaze, after the coast guard opened fired with a 25mm machine gun. A few hours later the coast guard finished it off with artillery rounds, The Guardian reported. 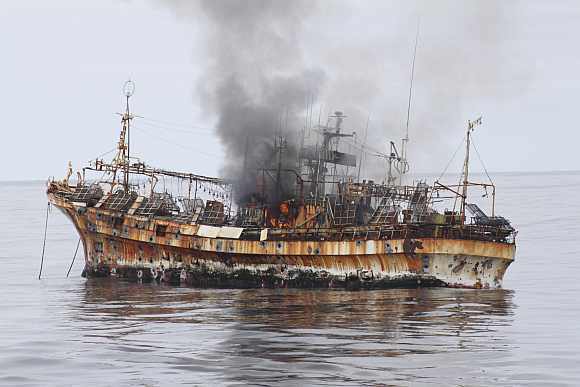 The boat had no lights or power and was considered a danger to other ships. 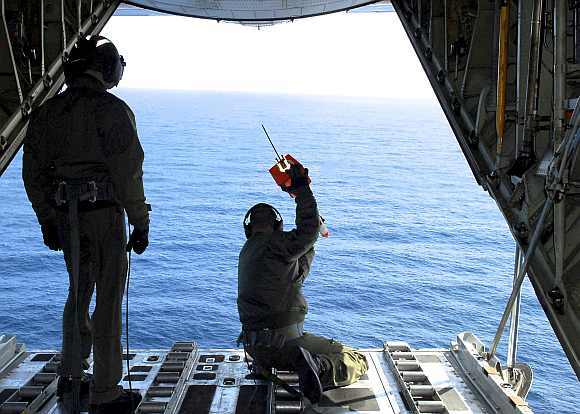 The crewless ship is believed to have been carrying more than 9,000 litres of diesel fuel. 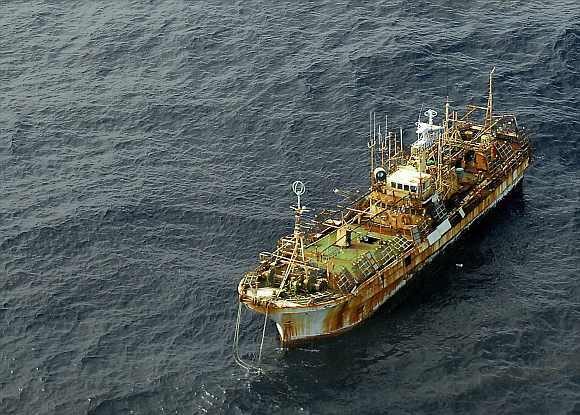 The 'ghost ship' is among the 1.5 million tonnes of debris the Japanese government estimates was dragged out to sea by the tsunami. 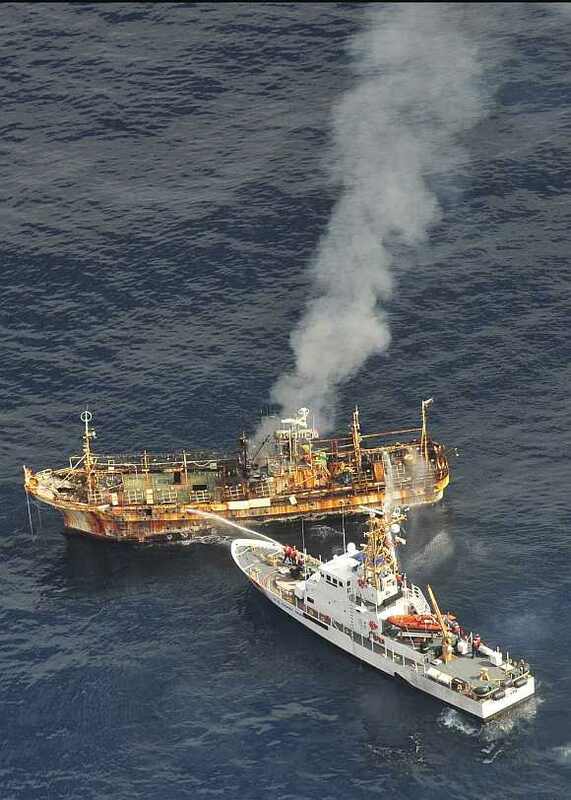 The Japanese owners of the ship had said they did not want it back. Early Thursday, a Canadian crew had tried to save it, but after a closer inspection they abandoned the idea and the operation to sink the ship began.